Here’s a term property investors probably haven’t thought much about, but should start to take notice of. The term is social housing. How you describe it is probably governed a little by where you sit on the political spectrum. 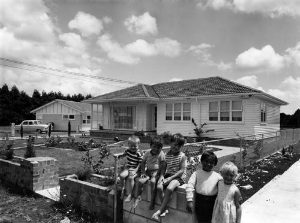 Under social housing the government essentially wants rid itself of state houses and have the sector managed by community groups, such as the Salvation Army and iwi. In an very good piece in the NZ Herald, its political editor John Armstrong suggests that if Finance Minister Bill English and Treasury have their way Housing New Zealand will cease to exist as all its houses will be transferred to “social” organisations. However, he makes the point that the government wants to “sell” its state houses to social organisations, who in all likelihood won’t have the money to pay market prices for the houses. NZ Property Investors Federation Andrew King, who is politically well-attuned, sees what is happening in this space as a significant risk to the private landlords. Part of the issue is that the government will, in all likelihood, provide funds to allow social organisations to compete with the private sector. For another view the keynote speaker at the NZPIF conference last weekend, UK property entrepreneur Kevin Green, suggested it was potentially a good place for private landlords to invest. Social Housing is big in the UK and generates some excellent returns, he told delegates. In a nutshell private landlords become registered providers, own properties which meet the government’s criteria as rental stock for its “clients” and lease them back to the state. In the UK the rents paid by the government are significantly higher than what we would consider market rents. A few things are sure. Firstly this will be a major magnet for political debate. Secondly, there will be huge disruption to the housing market in the areas investors operate in. There is some irony, or is it a message, that the Auckland City Council is planning to put a sculpture of a state house on the waterfront when its housing market is out-of-control, and the government is planning to privatise its housing stock. PS: Inside the sculpture has will be an $800,000 crystal glass chandelier made in Venice.